Home/Dental Crowns/Zirconia Crowns – How Are They Better Than the Regular Crowns? When it comes to dental crowns, Zirconia crowns get recommended the most. These crowns have been named after ‘Zirconium’, a chemical element extracted from mineral Zircon that is used in manufacturing them. Zirconia crowns are preferred by the majority of individuals who need aesthetically pleasing artificial teeth but there are still some who remain confused between zirconia and regular crowns. They are curious to know what is it that zirconia crowns have and regular crowns don’t, and the materials used in making them. 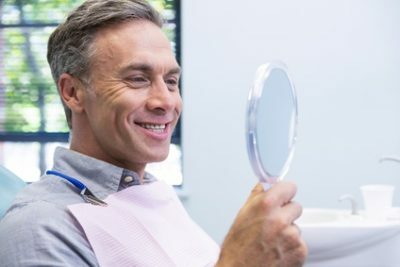 So, what is it that causes people to choose zirconia over regular crowns? Here’s everything that you need to know about these crowns. Zirconium crowns are manufactured using zirconium oxide or zirconia. It is a white, powdered metal that is opaque to X-rays. These crowns make for a tooth color that is whiter than regular crowns. There is no visible grey-line as compared to traditional ceramic metal-based teeth crowns, hence giving a more natural feel. Here are some more reasons why most people prefer zirconia over regular crowns. As discussed before, zirconia crowns give your teeth a more aesthetic and natural appeal. In fact, these crowns are often hard to differentiate from real teeth as they are bonded to the teeth and look just the same. The natural feel is what compels dental patients to prefer zirconia over regular crowns. Unlike regular crowns, zirconia crowns are biocompatible. This implies that they don’t harm the living tissues in your mouth and are happily accepted by them. These crowns thus start functioning like real teeth right after zirconium crown treatment is completed. In contrast to typical crowns, crowns made of zirconium have a longer lifespan. They perform nicely and remain intact for ages when maintained properly. The zirconium crowns have got appreciable strength which can be felt by the patients undergoing the crown treatments. Most dental crowns are defenseless against corrosion that attacks after a few years but that’s not the case with zirconia crowns. These crowns are corrosion-resistant and that’s one thing contributing to their durability and high-end performance. The best part about using zirconia crowns is that most of your natural teeth are preserved. This saves a lot of time for both the dentists and their patients. Furthermore, dentists don’t need to work hard to introduce these crowns. Only minimal preparation and effort is needed to fit these crowns on the respective teeth. Looking at the long-term performance and benefits, zirconium crowns cost lesser than regular ones, such as porcelain crowns. This is one important factor that influences the decision of choosing zirconia vs. regular crowns. Get in touch with HPS Dental today to get your zirconium crown treatment. We can be reached at (248) 652-0024. We look forward to hearing from you.